USB GPIB Interface | Marvin Test Solutions, Inc. 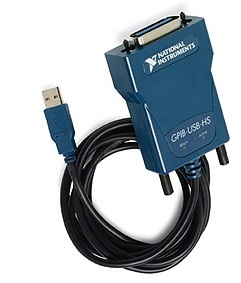 This compact USB - GPIB interface offers full function, IEEE 488.2 inteface support via any computer with a USB port. The interface can control up to 14 GPIB instruments. The small size and light weight of this interface makes it ideal for portable applications using a laptop computer or for other applications in which the computer has no available internal I/O slots. The interface works with any Windows OS.